What’s My Car Or Truck Worth? Looking for the perfect vehicle at the perfect price? Our conveniently located CDJR dealership near Downer’s Grove, IL offers an ideal match for any and every driving need. From first-time car-buyers and thrill seekers to on-the-go families and even commercial fleets, you’re sure to find the perfect car, SUV, or truck at Larry Roesch Chrysler Dodge Jeep RAM. Our mission is to provide VIP customer service. Let our experienced sales team customize your vehicle features while our finance experts package together the best deals in town. Our service center is standing by to keep your new or pre-owned vehicle at peak performance for years to come. We encourage you to research your new vehicle on our website and are standing by to answer any questions at 630-333-9121. Ready for the latest model year upgrades? You’ve come to the right place. At Larry Roesch CDJR Dealership near Downer’s Grove, IL, we have the largest inventory of new Chrysler, Dodge, Jeep, and RAM models. Get started on your hunt today using our online showroom. We are here to help you through every step of the car-buying process. If you’re not quite sure which vehicle is best for you and your budget, our experienced sales team can help you find the right fit for your lifestyle, be it a family friendly Dodge Durango, a luxurious commuter like the Chrysler 300, or a work-tough RAM 1500. 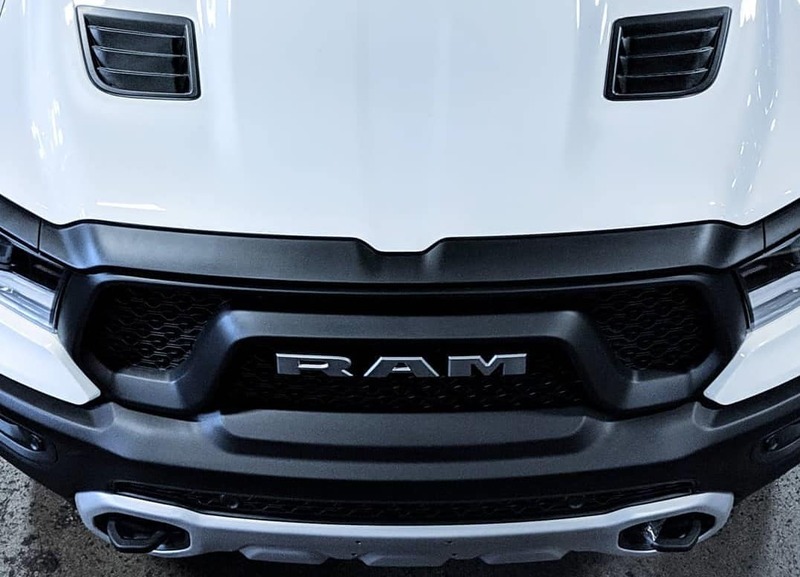 With hundreds of customization options, our 2019 vehicles can provide every technology or feature you need, from advanced safety engineering and luxurious comforts to performance upgrades and built-in entertainment systems. 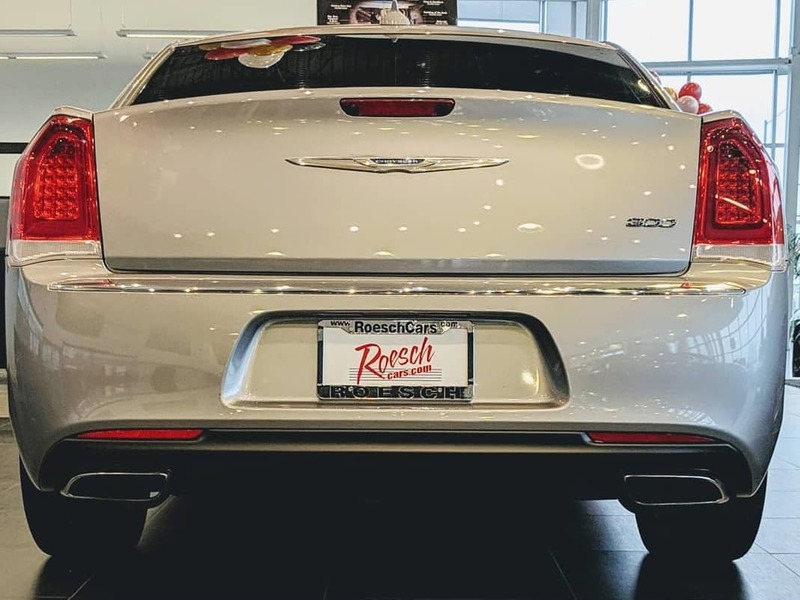 Our dealership exclusive discounts on new vehicles make Larry Roesch CDJR the best place for purchasing or leasing an all-new 2019 Chrysler, Dodge, Jeep, or RAM. 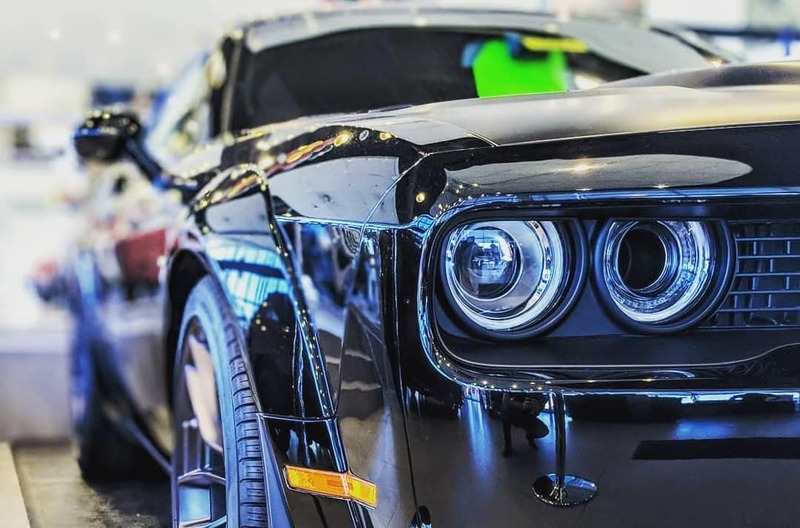 Our vast used and Certified Pre-Owned inventory makes owning a reliable Chrysler, Dodge, Jeep or RAM even more affordable. We specialize in quality used vehicles priced below Kelley Blue Book value for first-time car-buyers. These inexpensive options provide a safe and reliable vehicle for any budget. For the like-new feel, consider our Certified Pre-Owned vehicles. Our CPO vehicles must pass a rigorous 125-point inspection and must be low mileage. We offer 100,000 mile/84 month powertrain warranties as well as 3,000 mile/3 month limited warranties. To show that we stand behind our CPO vehicles, we extend complimentary roadside assistance, car rental allowance, and trip interruption benefits. Browse our online inventory to find vehicles matching your price and desired features, like third-row seating, blind spot monitoring, and even Wi-Fi hotspot. Simply check off your must-haves in the search function. Our Finance Center at Larry Roesch is staffed with experts who work with you to get an unbeatable deal. We work with good, bad, and even no credit, because we know how vital it is to have a dependable vehicle near Downer’s Grove, IL. Rest assured we’ll help you get the loan or lease package that works best for your budget. Our finance team is highly experienced with small business, commercial, and corporate accounts. We utilize Business Link and On the Job to share dealership perks on work-tough vehicles like the RAM Promaster 3500. Ready to get the ball rolling, or just want more information without the hassle of stopping in? We have online tools to help make your financing process even faster. The Roesch Collision Repair center is the preferred body repair for seven major insurance companies. 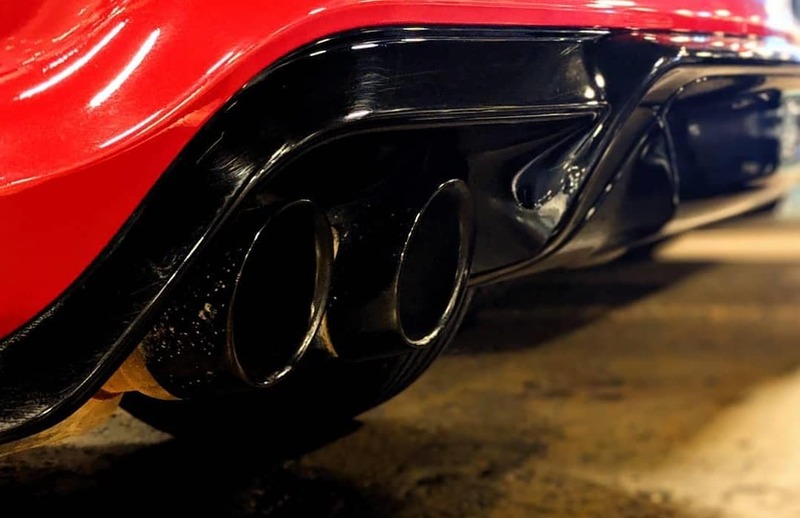 We use the latest techniques and equipment to restore vehicles damaged in accidents, including laser frame racks and PPG paint matching and mixing. Your car will look fresh off the factory line, and we’ll work with your insurance company to make the process hassle-free. Keep your Chrysler, Dodge, Jeep or RAM running like new for many years to come by stopping by our conveniently located Service Center. Simply schedule your appointment online or call 630-333-9121. Our factory-trained technicians perform routine maintenance with authentic OEM parts, including oil changes, filter replacement, tire replacement, and more. Sit back and relax in our comfortable lobby with free Wi-Fi, or, for those in a hurry, take advantage of our early bird hours and free shuttle services. Zip through with our Express Lane Service for simple oil changes and tire checks with no appointment necessary. We like to say “Thank you!” to our loyal customers near Downer’s Grove, IL by sharing special discounts and rebates that are exclusive to our CDJR dealership. These deals rotate regularly, so stay tuned to get an even better deal on your dream car or next routine service. We know you have many choices when shopping for a new vehicle near Downer’s Grove, IL. That’s why we strive to provide the best customer service and lowest prices to ensure you’ll be a happy customer for life. Our one-stop CDJR dealership is designed to reduce the time and stress of driving all over town looking for the right car at the right price. Since 1923, we’ve built our reputation for fast, friendly, and honest service through word of mouth. In 2018, we’re proud to continue this legacy by having one of the highest CDJR dealership ratings on review sites like Yelp and Google Reviews among locations near Downer’s Grove, IL. We invite you to join our ranks of happy customers, and we look forward to serving you!